Snuggle up with your favourite hot drink in this delightful 'Mr' mug just for him. 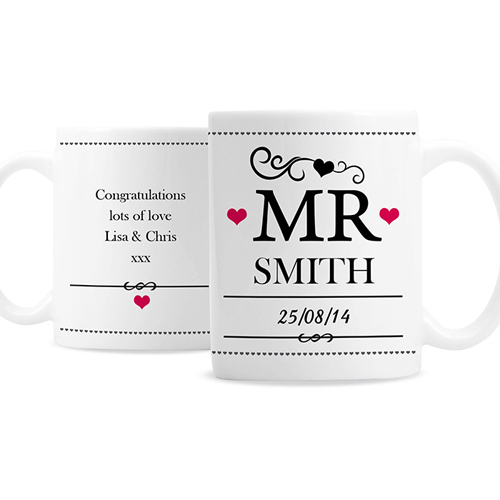 Personalise this Personalised Mr Mug with a surname up to 15 characters and date up to 20 characters to appear on the front. A message can also be added on the reverse up to 4 lines of 20 characters per line. Personalise with a surname up to 15 characters and date up to 20 characters to appear on the front. A message can also be added on the reverse up to 4 lines of 20 characters per line.